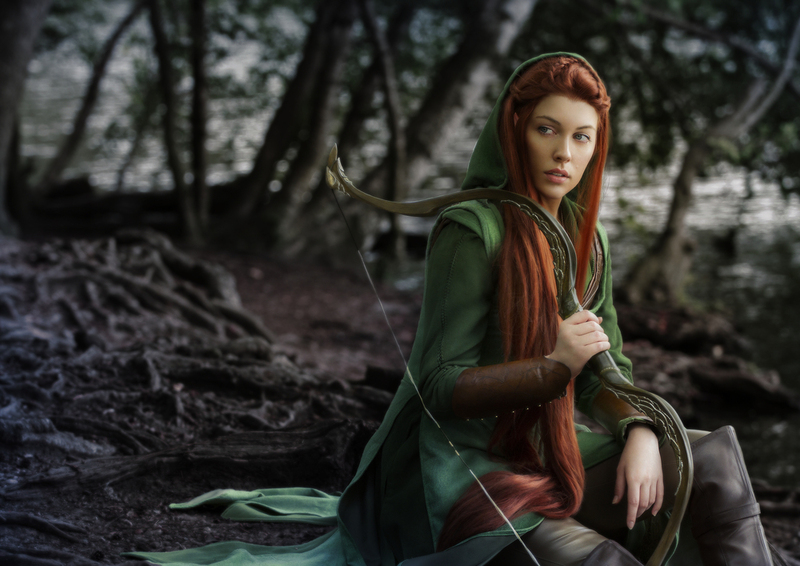 I wanted to share my good friend Colin J Smiths work, he's done some wonderful editing for me on my Queen Ravenna and Tauriel photos and is someone you should definitely follow! I asked him to write up a bio for me to share with you all so please do read about his work and give his website a look. Initially you could say I started in graphic & product design, those were the subjects I have always excelled in, it eventually led to me taking Special Effects (Hons) as my degree. This opened me up to what was possible, be it practical effects or digital, it gave me technical knowledge and boundaries of which curbed ideas and projects to what was possible. Following university, I went mostly digital, with an eclectic array of jobs going from production to post production, then working in theatre to a photographic & retouching studio. I guess I picked up a lot of useful working knowledge, something which i believe is invaluable to anyone in any job, knowing how all the other departments work and their processes makes your job more efficient and allow you to navigate the best plan of action to what you require. I have always been that kid who takes things apart or asks unnecessary question to find out why or how things work. My photography has been a passion since a young age, though the kicker was when I started freelancing for a production company in London creating all their in house motion graphics for the films / ads they made. This also gained me access to the production side of things and their clients (when they made films of and for). They saw my photos whilst out on shoots and found them to be worthy (ha), they then used me as stills photographer from then on. It gave me a taste for what could be, and so I followed it. My work in post production seems to also have bled into my photography work via retouching, initially it started with restoration of damaged old photographs (which I still offer as a service), then took a turn in to fashion and beauty retouching for a few photographers. I think my favourite are the quick turnover jobs, where I either fix a problem or polish existing work, and thats why I enjoy retouching so much. I’m always learning, and constantly developing my style which is frustrating because you look back at work you did 2 months ago and you become so analytical and critical. But thats a good thing. My current work is a mix of VFX, motion graphics, filming, photography and then all the post that goes with it. A bit of a one man band, or Jack of all trades.. master of a couple *laughs*. But I love what I do and am always excited and up for new challenges and projects. 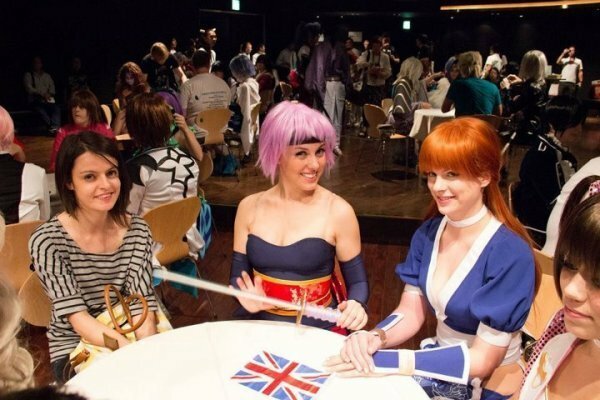 I was recently featured in Cohaku (a german cosplay magazine) discussing our big UK win at the European Cosplay Gathering last year. It's such a lovely magazine, I wish my German was better so I could read some of the articles, loads of great how to guides by some really talented cosplayers - luckily its coming out in English soon! Also big thanks to Sonesh Joshi Photography for the great photos we used. I had the privilege of working with the lovely people from Eurogamer to do a 3 part series on my cosplay build up to EGX. My finished costume was Escha from Atelier, you can check out all three parts here. Words cannot even begin to describe how incredible my journey to Middle Earth was courtesy of the Hobbit Fan Contest. We were all so spoilt from journeys across Queenstown, a traditional Maori welcome, having a pint in the Green Dragon with the dwarves, visiting the inspiring Weta Workshop and seeing The Hobbit : Battle of Five Armies with Sir Peter Jackson himself. I made some incredible friends during my time there and will miss them all so much, but I think we all left our hearts in New Zealand and will no doubt be back out there soon! The chance to visit Middle Earth and meet Peter Jackson has always been a dream of mine, please help me to share my content for the #Hobbitfancontest to have the chance to turn that dream into reality. I am such an enormous fan and the dedicated cast and crew involved have inspired such a huge part of my life. Its that time of year where its coming up to Eurogamer Expo and whilst I'm busy creating my cosplay piece for an article for the wonderful EGX crew I thought I'd share this interview I did with the lovely people at Tru Gamer TV last year. Hope to see them again this year! Every year at Japan Expo in Paris the qualifiers from 11 countries come together to compete in the finals of the European Cosplay Gathering in front of an audience of 16,000, with a group category (2-3 people) and solo. Myself and my friend Ben had qualified as the group and our good friend Lex for solo - and incredibly we all placed first, sweeping the results with Team UK. We still can't believe it and are just so incredibly happy to have had this experience and met so many other amazing cosplayers and compete on that fantastically huge stage at Japan Expo. After the success of our various Halo suits at Artem, we were approached again by Xbox to create the new Titanfall pilot suits for the launch of the game. The suits were worn by Storm freerunners, Pip Anderson and Kie Willis who both looked fantastic in the suits. I recently completed a Link costume from Link Between Worlds that could be worn for promotional work at Eurogamer in London. I loved creating this costume, mostly for the sword and shield which was sculpted then moulded and cast in fibreglass making it really tough. I painted it with a metallic finish and weathered it all to have an aged, distressed appearance. The costume was a lovely simple outfit to construct but I could put a lot of care and attention into the finishing on it, making it perfect with barely any visible seams or edges to it. For Halloween, I was approached by Carling to create a set of 'mumsies' for them as part of the promotion to go alongside their new commercial 'voodoo'. I was contacted by Namco Bandai to create a custom kigu for part of a competition they were running to design a familiar for the game. The winning design was then given to me to transform into a kigu. This was a really fun project to work on as it meant a little bit of interpretion of turning someones creature design into a giant onsie for someone to wear! I use a lot of soft jerseys and felts so it would be comfy to snuggle up on the sofa in. 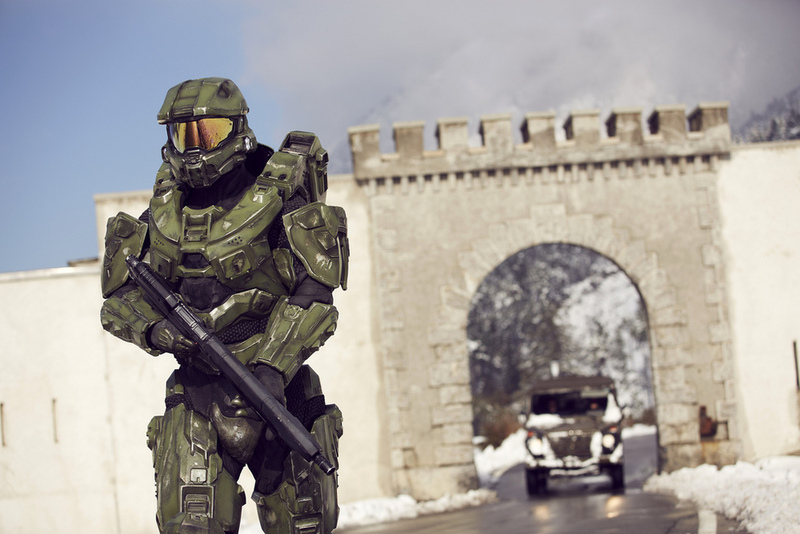 During August, Artem were approached by NJlive (Microsoft) to create the promotional suits for the release of Halo 4 of the leading character, Masterchief. We had a month to create 4 of these suits which was quite a challenge but we had a fanastic team of people all working on it to create what I believe to be the most accurate suits of Masterchief out there, using our rapid prototype and CNC machines to print perfect replica armour from the game itself. This was a really fun project to work on for me as I'm aready heavily involved in private commissions within the gaming industry, so being able to do this at work as well was a total joy! I was also lucky enough to attend the majority of the events and dress the actors in the suits and see them in action and all the fans reactions to them. Well done Team Masterchief, we done good! From one Octopus to another, I went from creating a human sized Octopus to a stadium sized one! The SFX company I work for, Artem, created a huge manor of puppets, props and inflatables for the opening and closing ceremony of the London Olympics. Whilst I was involved in creating several of the cartoony inflatables that came soaring out of the beds in the Opening Ceremony my pride and joy will always by the giant Octopus emerging out of a bus with FatBoy Slim gloriously riding on top of it! A few months ago I was contacted by Jessie May Peters, a very talented up and coming designer who was interested in me creating an octopus costume for a music video she was shooting. This was an insanely fun and quick project to work on. I constructed the octopus out of foam, lycra and tinsil. Coating tentacles in silicone in my conservatory was fun, messy work to play with. I went along to the shoot as well in black forest near Pinewood studios to help out with make up and Octopus touch ups and just be a general helper. In all it was a fantastic project to work on and I got to meet a lot of new talent in the industry. Here is Jessie's awesome music video to enjoy! Culprate - Tentacle from Jessie May Peters on Vimeo. 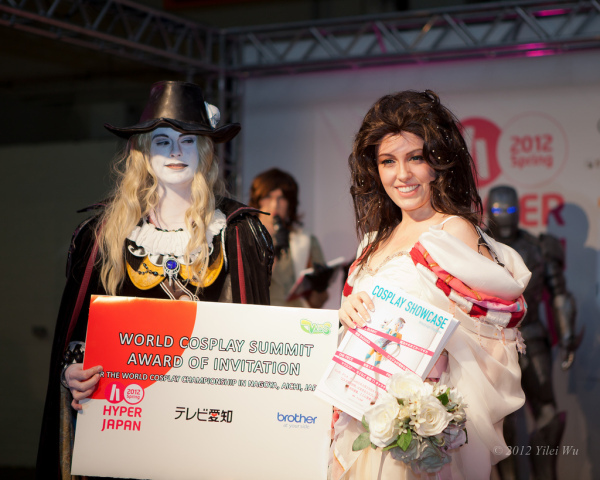 I recently returned from my trip to Japan to represent the UK for the first time ever at the World Cosplay Summit in Nagoya. It was 10 days of parades, tv shows, press panels and government meetings in costumes. Needless to say it was a surreal experience! I had my final hand in ever for university yesterday, thats 5 years of higher education finally over! 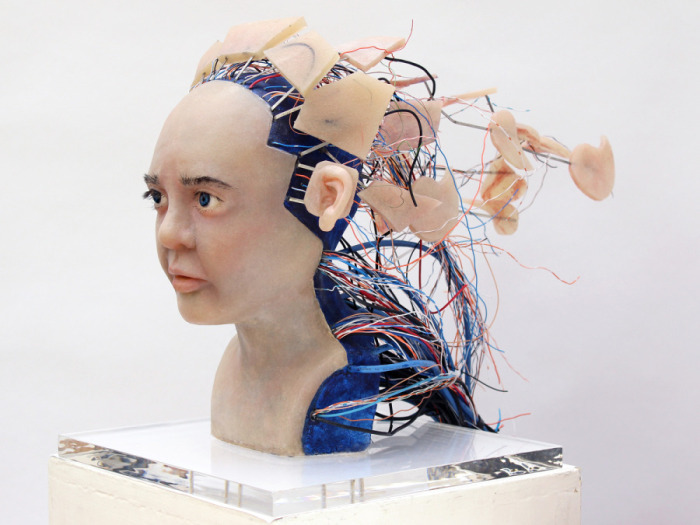 My piece that I created was from the great Brian Aldiss' short story of a young robotic boy named 'David', I created a conceptualised sculpt of the character in a moment of contemplation of his own reality and the birth of consciousness. I also created a series of textile pieces that would capture snap shot moments of the story, leading up to this final moment of Davids realisation of his synthetic form. So, I've been working on a costume for the UK prelimineries of the World Cosplay Summit, held at Hyper Japan, over the last 6 months. Its been a long and painful process of sleepless nights creating costumes, props, prosthetics and sets but it all paid off when myself and my partner in crime, Lex, won and are now off to Nagoya in August to represent the UK. Thank you so much to everyone that helped us out during this entire time, couldn't have done it without the support of our friends and family. Here is our crowning moment, costumes from Yoshitaka Amano's designs for Vampire Hunter D, D and Doris. I'm really excited to go back to Japan, its been 3 years since I last visited and I know myself and Lex cannot wait to meet all the other competitors out there. We need to bring 2 extra costumes out with us though, which I'm already getting excited about creating, the creative bug has bitten! I'm hoping to spend an extra 2 weeks out there afterwards to visit some of my friends. For more photos and construction notes on my costume please visit my cosplayisland account.